Reddish Egret in Florida. Photo by Andrea Westmoreland via Birdshare. I took a deep breath of relief this morning when I read that the “top kill” procedure at BP’s Deepwater Horizon oil leak seemed to have worked. UPDATE: Sadly, on Saturday it became apparent that the top kill had not worked after all. Oil is continuing to leak and BP are regrouping for another attempt at capturing the leaking oil. The best hope for actually stopping the leak now seems to be two relief wells that are being drilled, with a projected completion in August. According to the L.A. Times, the Coast Guard had reported that the heavy mud had almost fully counteracted the oil’s upward pressure in the well. The next step is to “entomb” the well in concrete to safely end the leak (though later in the day BP put the operation on hold). If the well is sealed in the next few days, we’ll be able to devote our attention to the oil that’s floating in the Gulf and beginning to wash ashore. We’ll finally be able to at least put a number on the size of the problem we have to deal with. In the second new development of the day, unfortunately, that number shot up from previous estimates. Using three separate methods, the U.S. Geological Survey estimated a range of 12,000 to 19,000 barrels of oil per day had been gushing from the well since April 20. The upper figure is nearly four times higher than the previous estimate. If you assume that number is correct over the life of the spill, it means in total around 30 million gallons have spilled into the Gulf—or almost three times the size of the previous worst spill in U.S. history, the Exxon Valdez spill. Another USGS analysis estimated that between 130,000 and 270,000 barrels of oil are spread across the surface of the Gulf. That oil is washing ashore across some 150 miles of Louisiana coastline. The New York Times has a summary map and the official Deepwater Horizon response site posts its own daily maps and forecasts in PDF form. 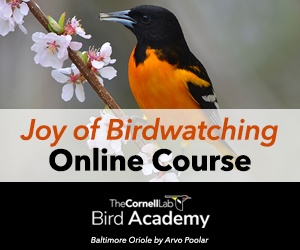 The American Birding Association and Audubon have posted some saddening eyewitness reports on their blogs. Donations to the American Birding Association and to the Baton Rouge Audubon Society are quickly being turned around to help volunteer efforts by the Louisiana Bird Response Working Group. ABA says they have routed $19,000 in donations to volunteer efforts already. If you would like to help conduct bird surveys, can provide your own transportation, and are aware of the dangers inherent in fieldwork, including exertion, heat, bugs, broken glass, (and now oil exposure), Erik Johnson would like to hear from you at labirdresponse AT gmail.com. He stresses that this work does not involve rescuing or rehabilitating birds, which requires special training and facilities. The editors of Birder’s World magazine have compiled a page of volunteer opportunities and places to donate. 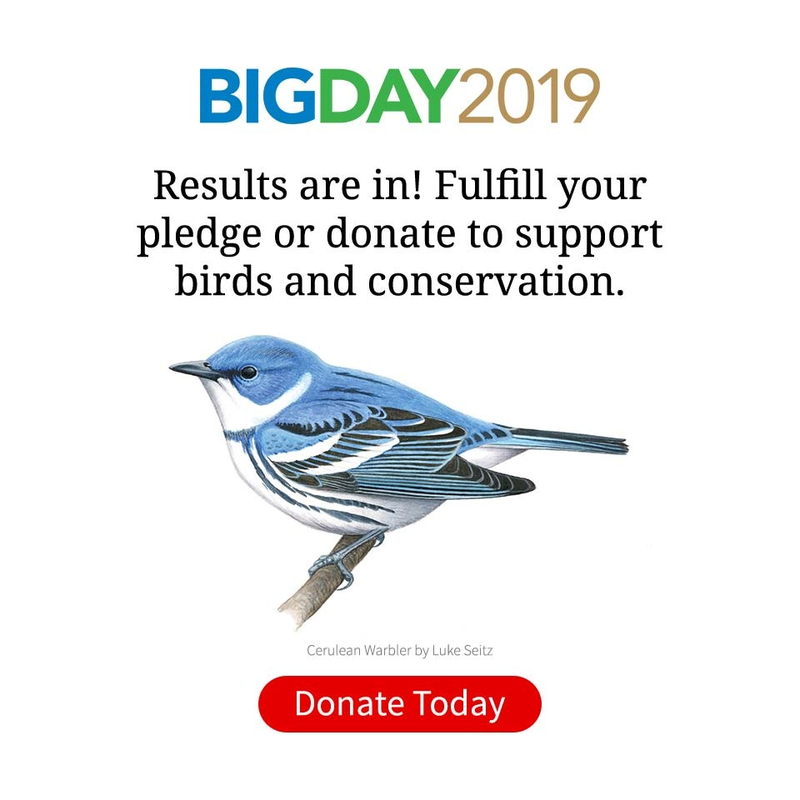 We’d like to stress that if you live along the Gulf Coast, one of the most tangible ways you can help is by going out birding in an area near you, then entering your results into eBird. By putting effort into documenting bird presence and absence now, we’ll be in a much more informed position to interpret changes that happen over the lifetime of this spill. You can see recent eBird records for 10 at-risk species using our Google gadget (and you can embed the gadget on your own website or blog). In the face of this horrifying situation, all of us here are grateful to the birding community for its display of caring, concern, helpfulness, and generosity. Let’s hope for a final end to the leak, and then fair weather and good luck as all eyes turn to the cleanup.